Internet Dating of the different kind. There is no need to search or create bookmarks since it is already completed by someone else. I had mentioned "Delicious" as a social bookmarking site in an earlier post but this website www.allmyfaves.com Is a cool neat site that has already been bookmarked by categories for you! Enjoy. Thank's to my cousin for finding this site. What is Google Adsense? If you look to your right of this column there are "Ads by GOOGLE". Every time a unique visitor clicks on an ad it will direct you to the sponsor site which Google has matched with keywords within your own site. Companies pay Google to have there Ads placed in these areas. Everytime you click on the ads the owner of the site such as myself will generate income. Keep in mind you must generate a lot of page clicks before you really start making any money. High traffic on a blog can generate this type of income. Google will send you a cheque once you meet there minimum per clicks on your site. Watch the video for more details. I bet you always thought Google was just for "Searches". View some of your favourites sites and you will notice "Google Adsense" ads on most of them. 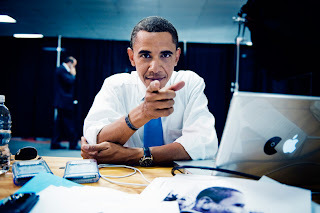 Obama is a Mac user. There was so much revolt with Obama having a blackberry. The reason being that it would prove to be a security hole. Political and security specialist feel there could be a breach of some sort. It has been decided that he would still keep his blackberry just for the sole purpose of texting with family and friends. It's also an interesting fact that Obama is a mac user. I wonder why he doesn't use an Iphone instead? Hmm.. I usually read the "The Globe and Mail" surprisingly for there sports writing and also for there technology section. 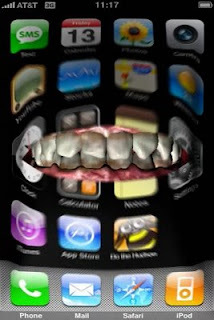 Go to this site to download free Iphone prank movies to your phone. Iphone Update 2.2.1 just released. The new Iphone update 2.2.1 which is 246.4MB is the first firmware release since November. This software apparently fixes Safari's stability and fixes an image issue in which pictures saved from "Mail" don't display properly in the Cameral Roll. Just plug your iphone to Itunes and click on update. Voila! It was an interesting weekend for myself in which I had a "Slip and Fall". I had paramedics,a firefighter and fellow staff and family surrounding me during my ordeal. My ordeal began when a fellow staff member notice me kind of looking light headed. This iniatated a call from the paramedics that are already on-site. This was the first time I ever had an ECG performed. An ECG is where they plug stickers on you with wires connected to monitor your heart rate. I have never seen this before especially at work, but it seem like a dated piece of equipment that still does wonders; especially in my case. Too make a story short there were some abnormalities in my ECG readings but after going to EMERGENCY everything seemed to be OK with myself and I was released. My incident could have been alot worse fortunately everything worked out. Thanks goes to those involved in my situation. I will be making a $50 dollar donation to either the Heart and Stroke Foundation or to Mt.Sinai hospital which treated me. So you maybe wondering what this has to do with technology. It really doesn't have anything to do with technology but I will try to draw a parallel to technology. Thankfully I did not experience a blackout after my fall. I was a little dizzy after the fall but that's about it. Here's where the parallel connects with technology. Can you imagine if the internet was "Blacked Out". I have never heard anyone talk about this but wouldn't that be a world catastrophe of a different kind. A technological meltdown? Imagine a society being bogged down with too many people emailing, downloading, transferring bytes of information all at once. This could cause the internet to fail, right? Just imagine the bank machines not working, airplane flights cancelled. It would reveal our over reliance on technology. Everything is run by technology now. Would it be nice to go back to not having email or the internet. Where writing a letter and walking over to the mailbox was the normal.What would the world be like if there was an internet blackout? Just Imagine. expensive so perhaps you can save a few hundred dollars this way. The Chinese are the largest internet users in the world as reported by "The Globe and Mail" on January 26, 2009. 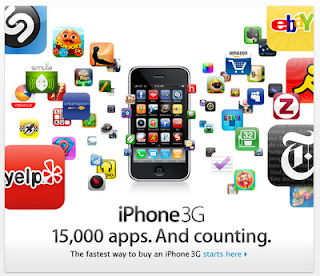 Thay account for 18% or the equivalent of 180 million users. It's another Freedom Friday. Since Barack Obama has been the talk this past week, I thought I would try and relate technology to this very theme. Here is a short clip of the new presidential gatling. Pretty neat stuff and scary at the same time. I was clicking (no pun intended) channels to see what was on television on my laptop. I've always enjoyed "Get Connected" on BNN network where this television clip was taken. It is interesting because today's episode was about small business marketing on a small budget. Shrinking market share and tighter budgets makes it difficult for the small start-ups. I for one is in the process of starting and launching a website this year as more of a hobby that could eventually take off. My site will be at least functional in a couple of months and a launch will soon follow. For now WWW.CLICKFLICK.CA has been redirected to this blog which will be included and compliment the new site. I'm learning "on the go" with all the steps involved with creating a website. The reason I have added this tv clip is because it involves Google and how it can be used to market your own personal website. The use of Google Adwords and Analytics is interesting and I hope you find this helpful in your own knowledge base. I know I would like to put some of this to use with my own site. I have just started reading the e-book on Creative motivation. Download it from his link. 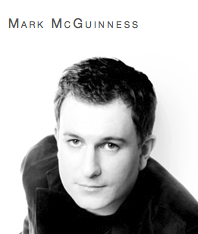 Thanks to Mark McGuinness from the UK for allowing to use his site. If you have been following this blog, in the previous post I mentioned about www.hordit.com. Here is just a quick video on how it all works. Store everything online for free! 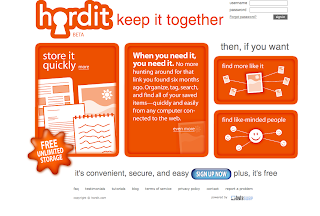 I came across this website WWW.HORDIT.COM. This site is in "Beta" but it allows you to store all your pictures, documents and files online from one specific area. You do need to sign up for an account which is free. If any of you try this site, please feel free to comment below and tell the viewers what you think of this online storage site. 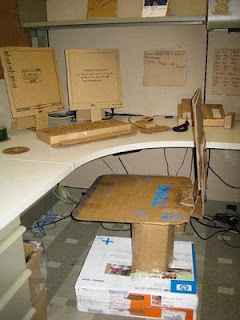 Is your workplace like this? Each employee will receive 104 personal days a year: they are called Saturdays & Sundays. Pass this on to all who are employed! Today, is the day most Americans and the whole world await the new president "Barack Obama". This new president is not only the first black president, but he is the first president to embrace technology as part of his campaign which helped him reached a demographic that others were not able to tap into. Technology played a major part in his victory. As an example he made use of the internet to broadcast his platform via youtube and also through his own website: www.barackobama.com. He announced his platform as well via Twitter. 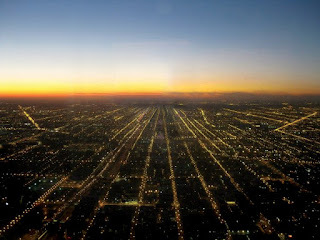 In the coming days I will explain and explore the wonderful world of Twitter. On that note, I'll be back to watching the Inauguration on streaming connection via the internet. How do you "Google" ? The question is "How to Fix a doorknob? How to fix a doorknob? I thought I would introduce you to some cool web viewing! All you have to do is click on the image and start reading. You can also zoom in/out or even download a copy when you want to read at your own leisure Happy Reading! Mcdonald's Canada has a new online website that offers free printable coupons for discounts on their meals! The coupons are valid for 1 week from the day you've printed them. I noticed the coupons wouldn't print properly in portrait so I recommend you setup your page to landscape. The Ontario coupon includes: One Can Dine for $2.99-Buy any McMuffin Extra Value Meal for $2.99 plus tax. One Can Dine for $4.50-Buy a Big Mac Quarter Pounder with Cheese or McChicken sandwich, medium fries and medium soft drink for only $4.50(plus tax). Click below to get your Canadian coupons. Have a piece of Americana! An awesome coupon from American Eagle. Take $10 off your purchase of $30 or more when you shop at American Eagle stores all across Canada. To all Americans, today is a significant day for most south of the border. Most are celebrating the man known for his "I have a dream" speech. The youngest winner of the Nobel Peace Prize and the list goes on. But starting tomorrow there will something much relative to all this it will be the inauguration of Barack Obama as the first "Black President". This will be the first time that technology will play an important part in this important time in Internet history. 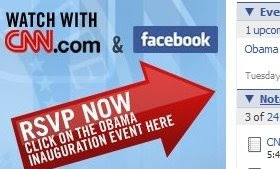 Most blogs,websites and social networking sites are a buzz with Obama frenzy. This has captured the imaginations of those in America and around the world. This to me will be a significant historical event that will be viewed online on the internet throughout the world. Check it out on FACEBOOK with your friends. It seems the older you get the faster time goes by. Is that a good thing? Here is a link with some time management tips. I'm sure we can all use a tip. 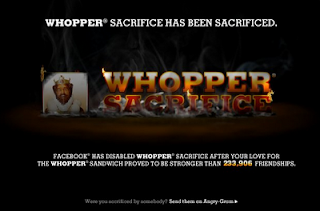 No more Free Whopper through Facebook. that smells like meat.....See it for youself; it's called Flame by BK. 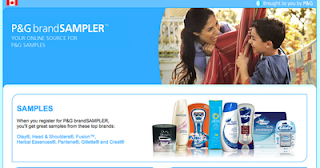 Here is a cool website sent by a cohort in which you can sign up for sample packs. First Come First serve. Technology of the future right here. Give it a Try! This is new software that will revolutionize the world. The premise is that you can "Barcode" or "Tag" anything that can eventually lead you to a website or text message. All you do is take a photo of the barcode and it will take you to the site. 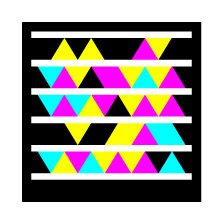 This has many more options but this barcode on my site will just be a small sample of what you can do. If you have an iphone you can just download it for free on the App Store. After downloading the software to your phone all you have to do is just take a picture of the barcode above and it will automatically link to the website that I have chose. Hint: It's a famous social networking site. You can leave your answers in the "Comments" section below. Tell me what you think of this application. I have recently tried to find a "Web Host" to host my website. I always had trouble finding the best place that provided great service with so many choices. I was looking for 24/7 Customer Care to answer all my questions and after all my research I'm happy to have found a webhost. It was difficult because pricing was a big issue. But have you ever wondered where other Big name sites host there websites. This sites tells you where they host the site. Just type in the web address and "Voila" you have the webhost they are using. This can help in your decision making in picking a Webhost if you ever decide to put up a website. Here is a preview of a retouched image. 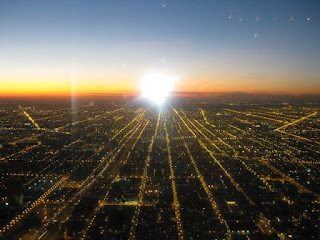 This shot was taken behind a window with the "flash" on the camera. The user requested to take away the glare and highlights. If you have any photos that need retouching, feel free to contact me at joallore@clickflick.ca. Have you ever bookmarked a website on your own computer? Do you hate when it gets cluttered and disorganized and all the while clogging your computer and making it slow. 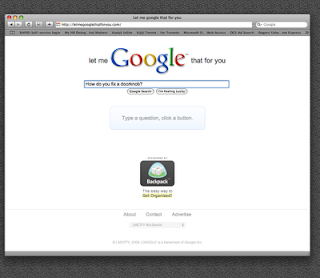 Delicious is a new way to "BookMark" websites via there website. You can bookmark as many websites as you want and view it from any other computer. It also allows you to categorize your bookmarks which makes organization a key factor in using this service. There is also a social aspect to sharing your bookmarks vice versa with others who have a similar interest. 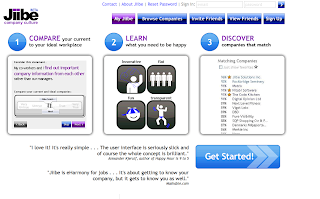 This enables user to find better websites than "Google Searches". Take a look at the video and start using it! It's made me productive already! Here's a heck of a deal if you are a memeber of Facebook and if you are still on the fence of joining this might give you reason to join. 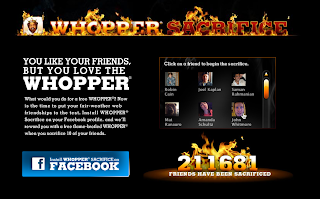 According to this site Whopper If you take 10 friends off you friends list you will get a free coupon for a Whopper. You make the decision 10 friends or a Free Whopper? I hope everyone has a great and prosperous 2009. The economic outlook does not look rosy for the coming year, but I'm hoping folks continue to spend and stimulate the economy. If you need to know where to spend your money you can start by purchasing some retouching here at www.clickflick.ca.